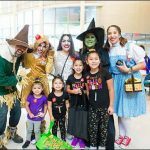 This year, fall festivals and Halloween events across the Texas Children’s system were bigger, better and spookier than ever. 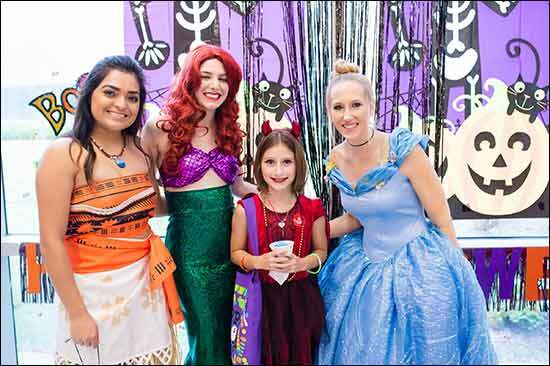 The festivities began on October 24 with West Campus’ annual Fall Festival. 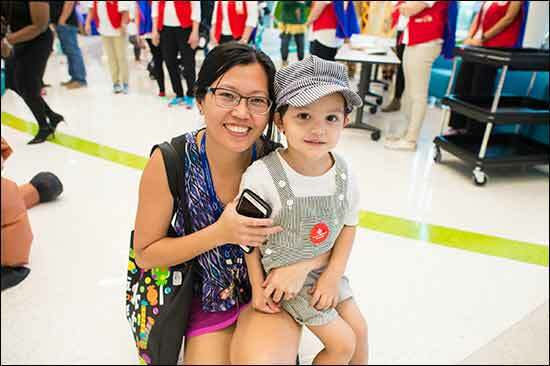 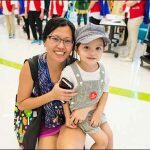 In the first floor lobby, patients and their families were welcomed by enthusiastic Child Life specialists, along with volunteers who led various games and arts and craft activities. 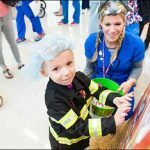 Watch the video and view the photo gallery below to get a glimpse of the fun everyone had at these unforgettable events. 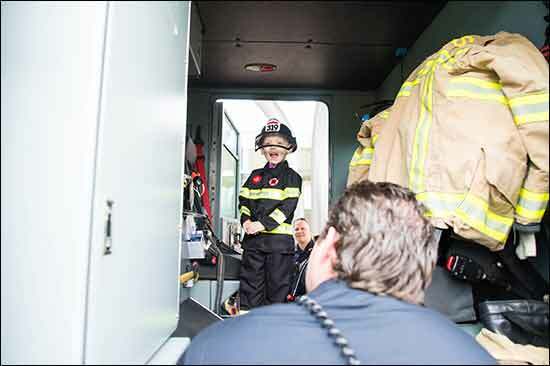 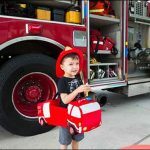 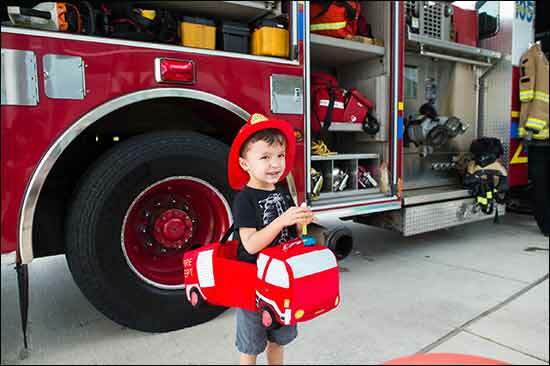 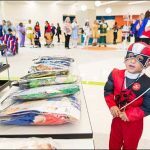 Several businesses and community groups including Chick-fil-A, Wood Group, Gymboree, Gym Station, and the Katy Police and Fire Department, participated by setting up games such as bowling, bean bag throwing and guess the fall spice, as well as a museum-style display of Making a Mark artwork. 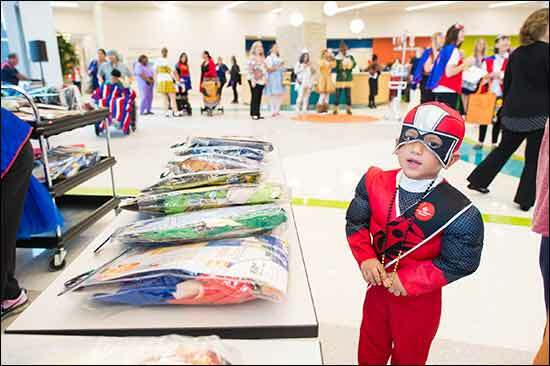 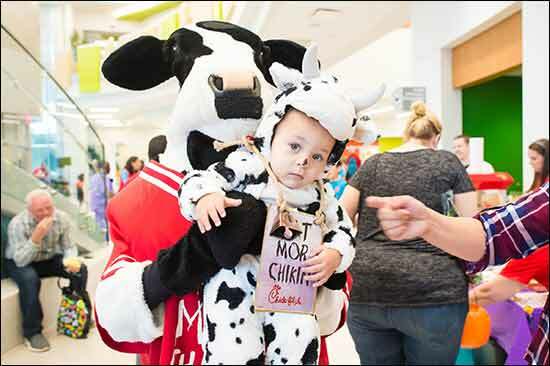 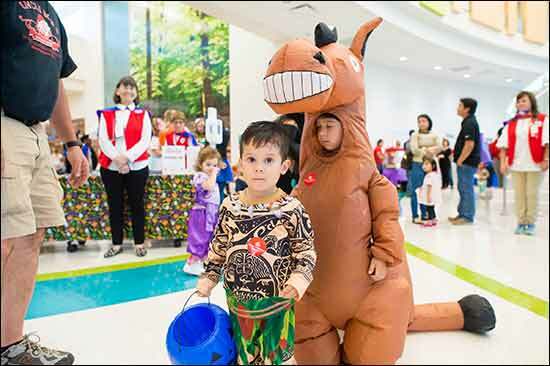 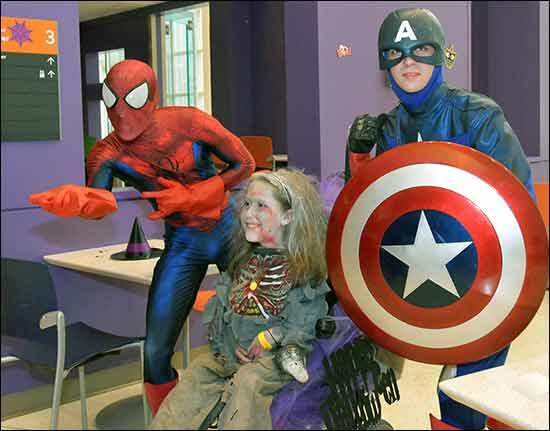 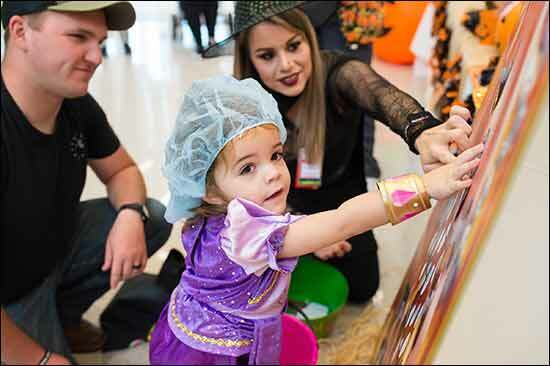 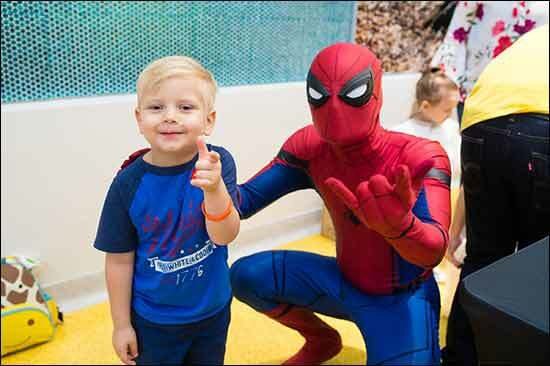 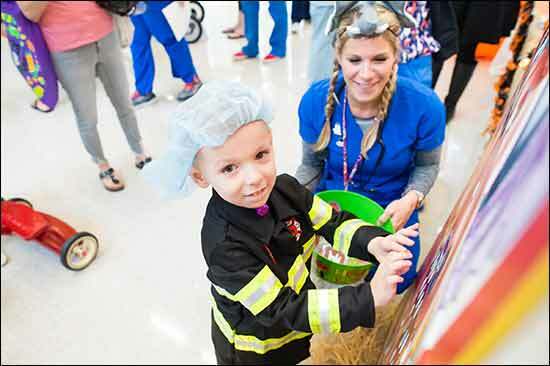 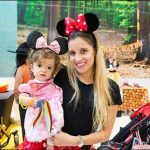 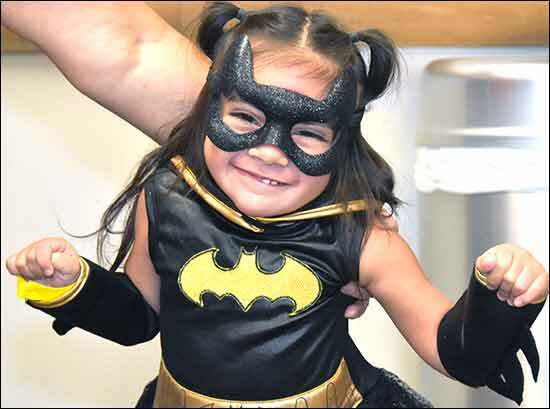 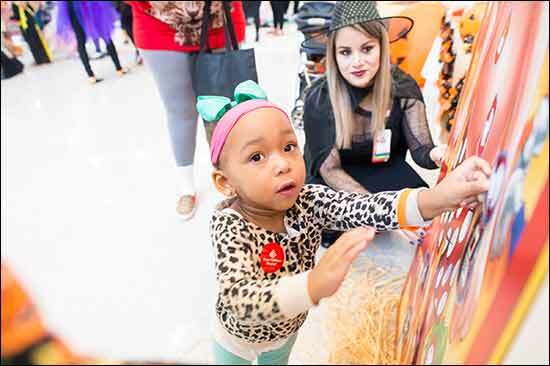 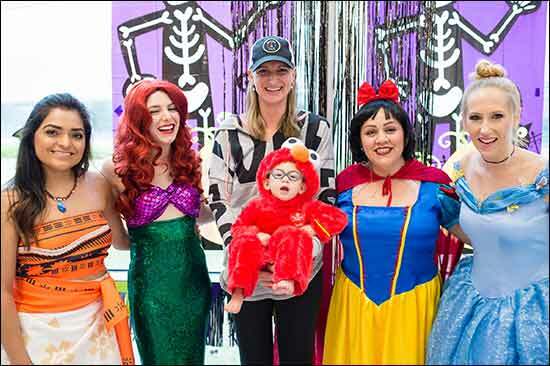 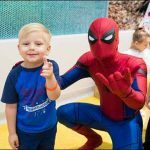 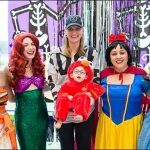 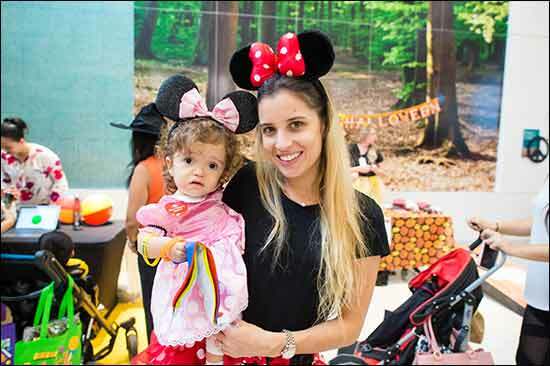 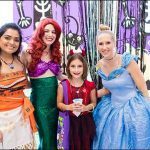 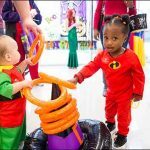 On October 31, hundreds of tiny witches, ghouls, fairies, super heroes, princesses and more turned out for a fiendishly good time along the Auxiliary and Miracle Bridges for the 2018 Halloween Celebration at Texas Children’s main campus. 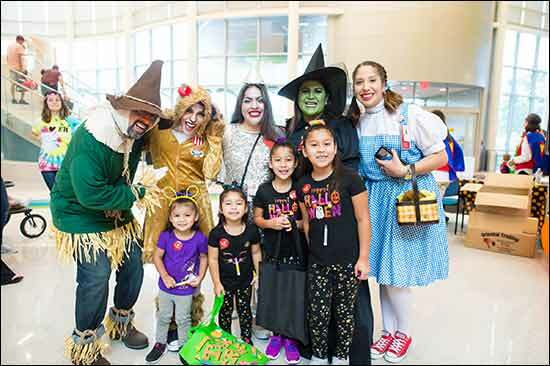 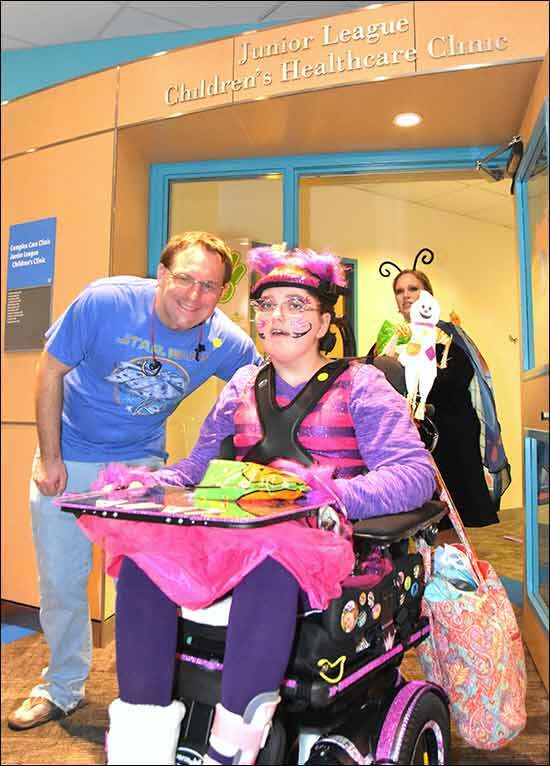 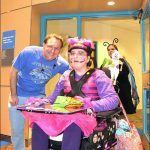 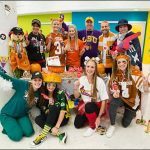 The haunted hullabaloo was a party of monstrous proportions, as dozens of amazing Texas Children’s employees from across all departments, service lines and divisions lined the walkways to make Halloween special for our patients and their families. 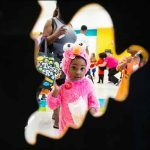 They went all out with unbelievable costumes, decorations and booths with fun activities, such as pumpkin painting and dinosaur dancing, and plenty of games, prizes and candy. 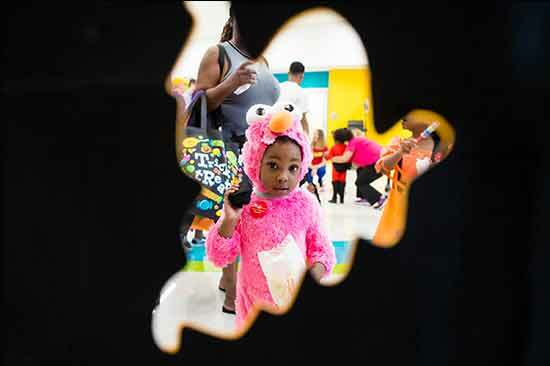 Kids and their families had plenty of activities to keep them entertained, like bowling, beanbag tosses, arts and crafts, music, and various foods and candy. 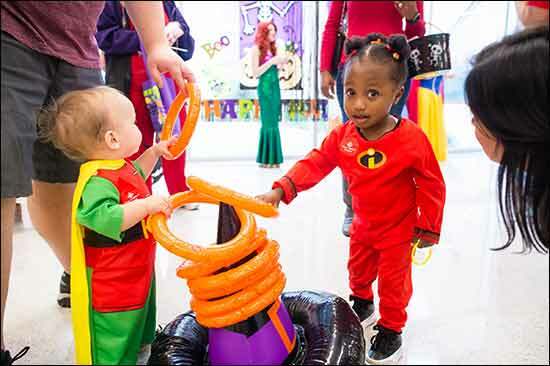 Spirit of Halloween costume store was also present to provide costumes to kids who didn’t have one. 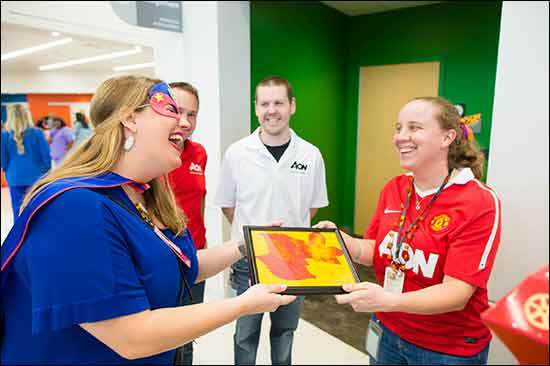 The Fall Festival committee presented a plaque to the vendors, thanking them for being a part of the festival. 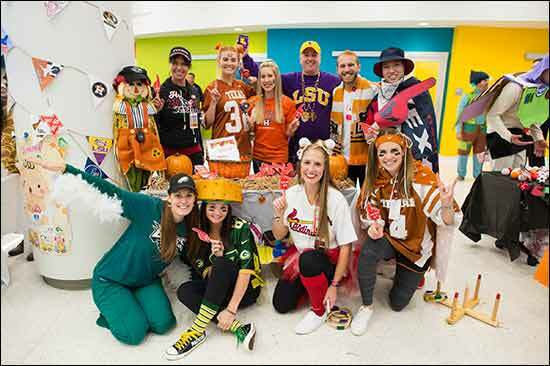 The event ended with employees from Language Services and Guest Services winning a very competitive employee costume contest. 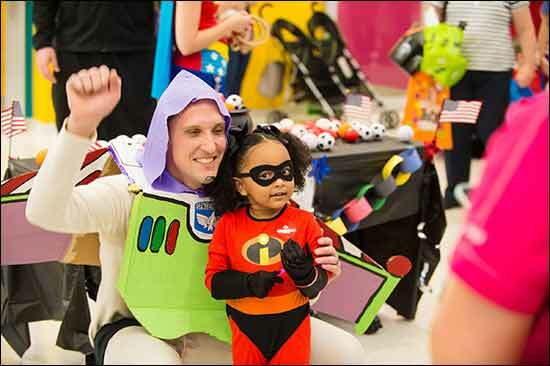 Other entities across the system also had their own celebrations. 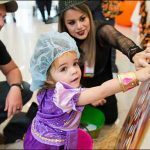 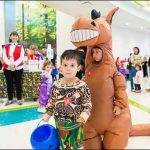 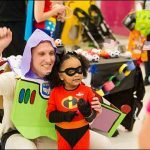 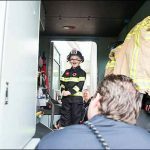 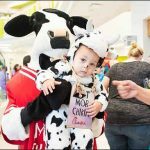 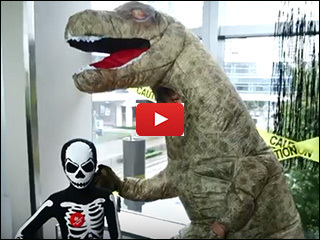 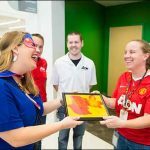 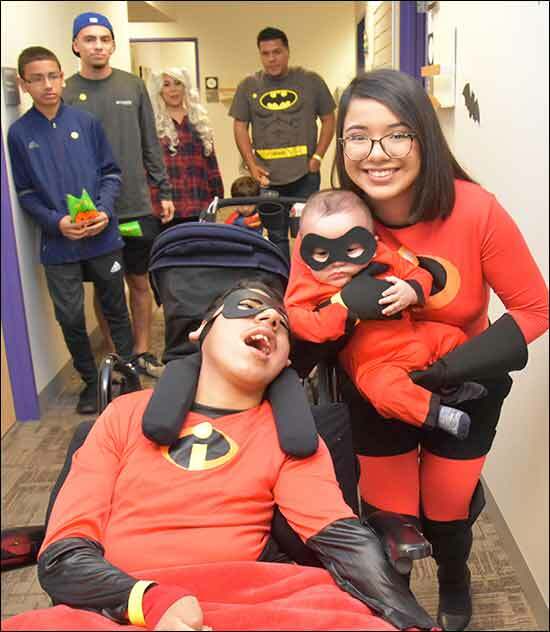 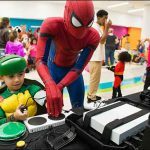 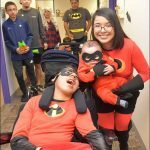 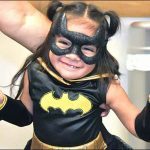 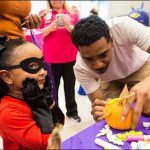 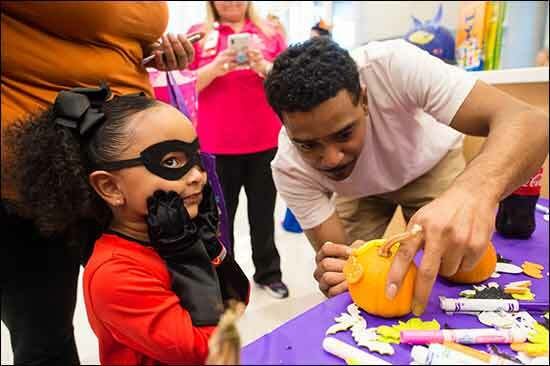 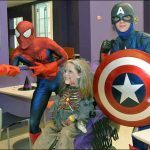 In conjunction with the One Step Closer Foundation and Texas Children’s Social Work Department, Texas Children’s Complex Care Clinic hosted the first annual Complex Care Costume Party. 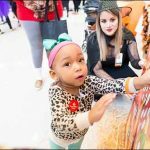 This event was created to provide the clinic’s medically complex patients an opportunity to celebrate the fall season in a festive and familiar environment. 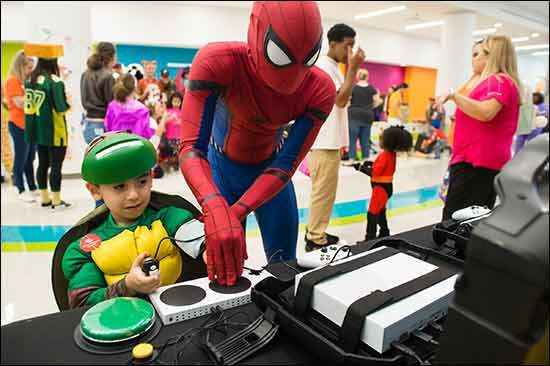 Patients and their siblings played games, participated in art projects and danced to a DJ! 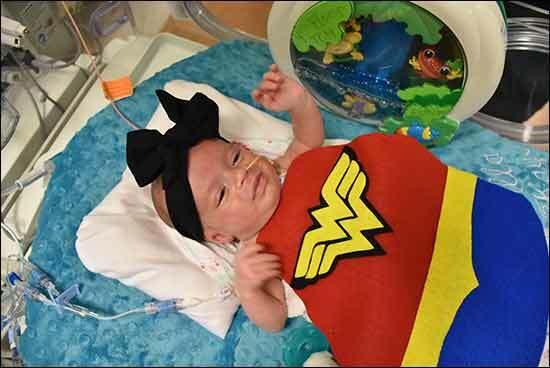 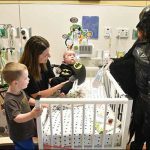 Also, the babies in the level III Neonatal Intensive Care Unit (NICU) at The Woodlands campus got a surprise Halloween visit from “Batman”, while dressed up in costumes, some of which were made by Texas Children’s Child Life team for its tiniest patients. 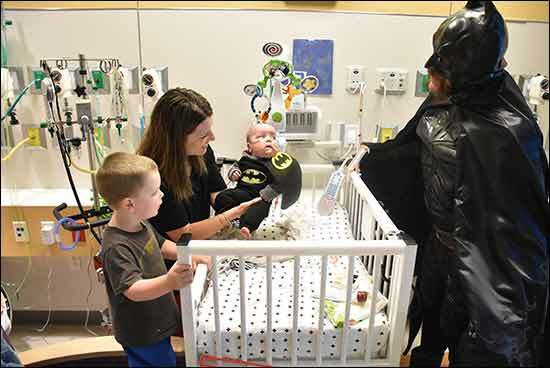 Families had the opportunity to have their photos taken with their child and Batman (a longtime Texas Children’s Hospital volunteer) at the bedside by FirstMemories Texas, who made the special visit possible. 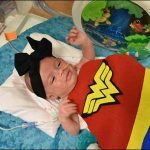 FirstMemories Texas is an all-volunteer organization dedicated to teaching families whose infants are in the NICU and CVICU at Texas Children’s Hospital how to celebrate, honor and tell their children’s stories through photography and album making.